Boone's Farm just does not have enough alcohol per volume to be a bum wine. In a bum's mind, heavy-hitting competitors such as T-Bird, Rosie, and Wild-I leave Boones in the dust. If Boone's would make a 17% alcohol per volume version at the same price, perhaps bums would reach for it. This sugary swill is more of an underage drinker's economy wine than a bum wine. You won't find empty Boone's bottles in any rail yard or heating vent, but you will find it in the local bowling alley parking lot or make-out spot. There is just no bumvidence to substantiate the bumsworthiness of Boone's Farm. Huge demand from our friends in Scotland made it impossible to ignore this drink. However, the difference in the American English dialect has caused a misunderstanding about the purpose of this web site. 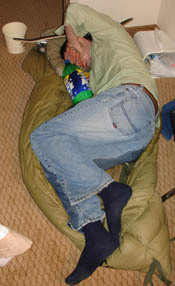 The word "bum" in the US more commonly means a homeless person, also known as a "tramp," a "hobo," or a "wino." The purpose of this web site is to review wines that are popular with homeless people. Buckfast is made in Devon, England at Buckfast Abbey by Benedictine monks. True to its name, Buckfast will get you "bucked up" real fast. Buckfast was thick, with a strong taste of molasses. There was also a hint of some type of herb reminiscent of oregano, and a soapy aftertaste. 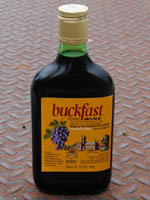 Like some of its high-sugar American counterparts, Buckfast gets you fired up and full of energy. 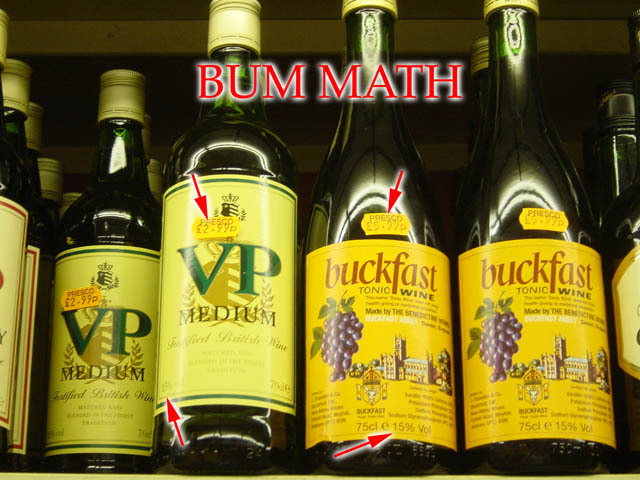 A report from BBC News and one from the New York times shows a connection between Buckfast and violent crime. Of the offenders who had been drinking immediately before their violent offence, more than 40% had been drinking Buckfast! According to the report, each bottle contained 281mg of caffeine - the same amount as eight cans of Coke. Despite its reputation for violent hooligans, with Buckfast's hefty price of about $8 US per bottle, we were skeptical that homeless winos would spend their hard earned coins when there are cheaper alternatives. Our contacts in Scotland tell us that only the most hardened alcoholics drink this beverages, but the homeless winos reach for cheaper alternatives. Like the great Sherlock Holmes, our UK investigator hit the alleys of London to see if there was any bumvidence to support Buckfast as a popular drink among homeless people. The discarded bumvidence littered in bums' nests pointed to the much more economically viable hard cider in 3 liter plastic jugs as the drink of choice rather than any of the wines. Our reporter brought a 3 liter jug of "White Ace" cider back to the states, which is 7% alcohol per volume and only about $3.50 US for the whole 3 liter jug. 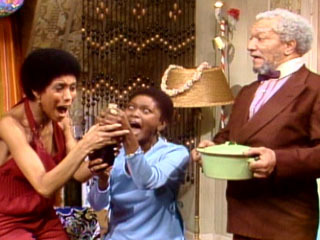 When the test subject drank the whole bottle of "White Ace," in Las Vegas, the effects were severe. He got kicked out of 4 Queens casino for washing his hands in a urinal, then fell asleep for 3 hours and woke up soaked in his own urine (see picture to the right). He woke up and got into a 6 year old's pirate costume, ran around slapping gamblers in the gut, got kicked out of The Imperial Palace, and became so obnoxious that his friends put him on a plane and sent him home early. In summary, there are readily avaliable cheaper alternatives to Buckfast that have similar alcohol content. As far as we can determine, Buckfast is a wine for alcoholics, but out of the price range of the destitute homeless. Nevertheless, we salute it! This wine is most widely available in Canada. It is priced as an economically viable $5 per bottle and packs a 20% whallup. Pale Dry Select Sherry is definitely one of the most explosive bum wines out there. 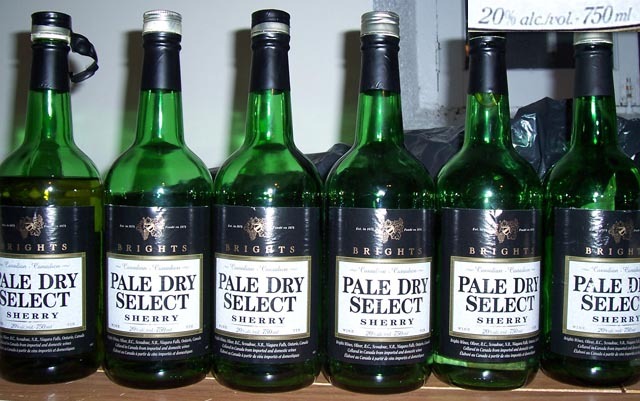 As test subjects have reported, Pale Dry Select Sherry is putrid and sickeningly sweet. However, mixed with Ginger Ale it is tolerable. Bright's Sherry made our test subject quickly curl up in the fetal position and later wake up and crying. If you are planning to drink a full bottle or more, make sure you have a sober person that you trust around to take care of you, because you will likely need assistance. 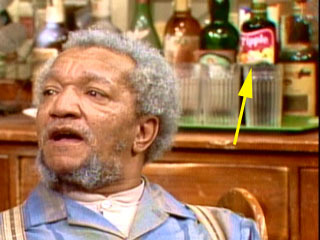 This foul Sweedish liquor seems to be indigenous to Chicago. The word "Malört" means wormwood in Sweedish. The tag line on the label says it all, "Most first-time drinkers of Jeppson Malort reject our liquor. Its strong, sharp taste is not for everyone. Our liquor is rugged and unrelenting (even brutal) to the palate. During almost 60 years of American distribution, we found only 1 out of 49 men will drink Jeppson Malort. During the lifetime of our founder, Carl Jeppson was apt to say, 'My Malort is produced for that unique group of drinkers who disdain light flavor or neutral spirits.' It is not possible to forget our two-fisted liquor. The taste just lingers and lasts - seemingly forever. The first shot is hard to swallow! PERSERVERE [sic]. Make it past two 'shock-glasses' and with the third you could be ours...forever." People write in to us claiming that the flavor is a mixture of tussin, nail polish remover, gasoline, bug spray, varnish remover, grapefruit rinds, corn syrupand metal with a hint of herbs. The taste powerfully lingers for at least ten minutes. While it's certainly worthy of mention as "quirky, disgusting booze," at $15-$20 a fifth, it's definitely not the drink of choice for Chicago bums. 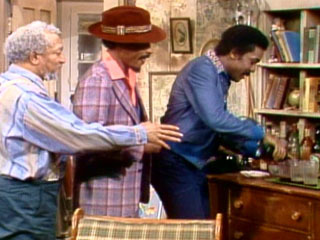 It's mostly bottom-shelf pints of liquor instead of that wormwood-infused flower of the Jeppson company. This wine is no longer sold, and we have not been able to gather much information about it. Just looking at the fox's eyes on the label would make one think that it probably causes lazy eyes.